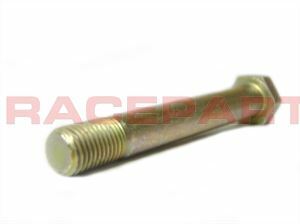 These National Aerospace Standard, fine threaded dimple-head hex bolts have a minimum tensile strength of 160,000 psi and a minimum shear strength of 95,000 psi. Thread length is consistent within each diameter and grip lengths are available in 1/16" increments. These NAS bolts are used in applications where a premium quality, high strength bolt is necessary.